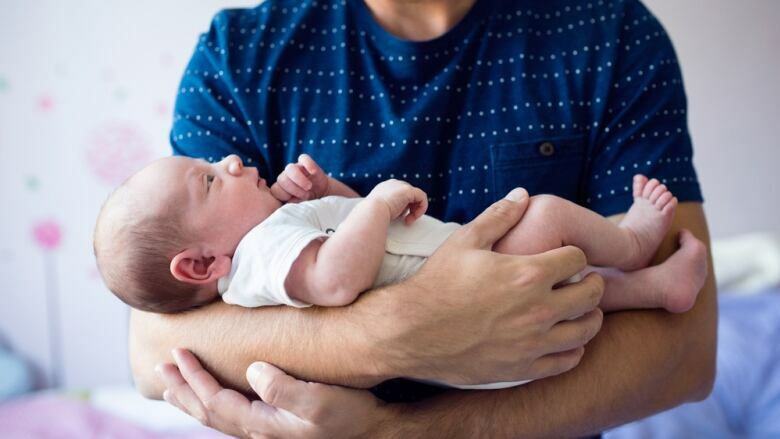 An author who has written extensively on baby names says there is a generational pattern to choosing a name for a child — and that new parents may think their own names, and their parents' names, are "too ordinary" for their newborns. "A lot of style is a reaction to what came before. So whatever we grew up surrounded by sounds ordinary to us," said Laura Wattenberg. She's the author of The Baby Name Wizard, a book about the names of American babies and the thought processes that may come into play in choosing a name. 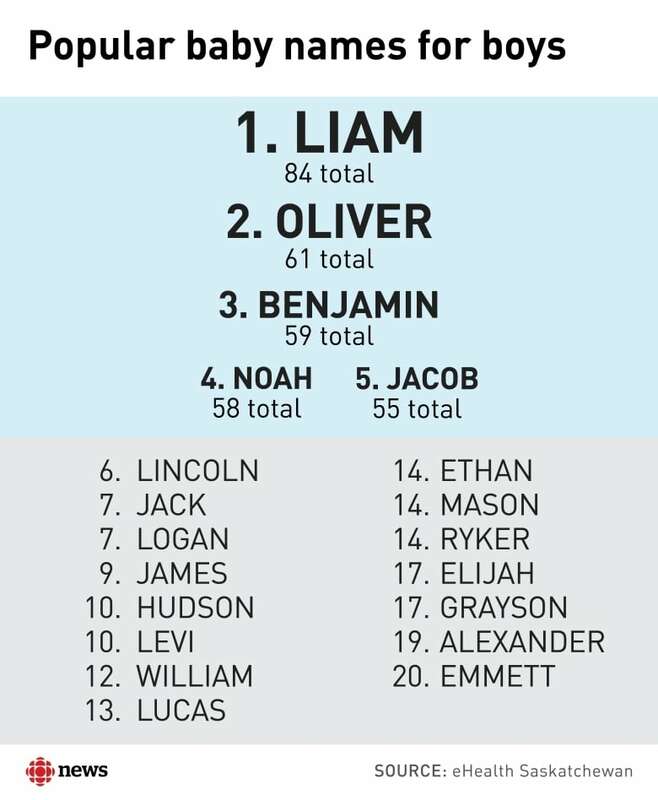 This week, the Saskatchewan Health Authority's IT corporation, eHealth Saskatchewan, revealed that Liam and Olivia were the most popular names for babies born in the province last year (the choices for 84 boys and 69 girls, respectively). The province's list excluded names which had five or less children for privacy reasons. As a result, missing from the list were names like Scott or Michelle — some of the most popular names for babies in 1970, for example. Meanwhile, 41 babies were named Grayson, 17 were named Greyson and another seven were Graysen. "There's definitely a sound to today's names as we move away from the classic names that used to dominate century after century," said Wattenberg. "And today, for boys in particular, two-syllable names ending in 'n' absolutely dominate the landscape." In addition to all those Grayson variants, several of the other entries on the list also followed the pattern noted by Wattenberg. There were 54 Lincolns, 50 Logans and 46 Hudsons, for example. "So even though we're being more creative and trying to be original, we're actually sounding more like each other than ever before." But when people are looking for a more "traditional" name, people may go back as far as their great-grandparents. "There's a generational pattern to naming, that as parents, we say the names of our own generations are too ordinary, our parents' [names] sound boring, our grandparents' sound old," said Wattenberg. "So even if we want a traditional name, we'll go back to at least our great-grandparents' time to look for one. 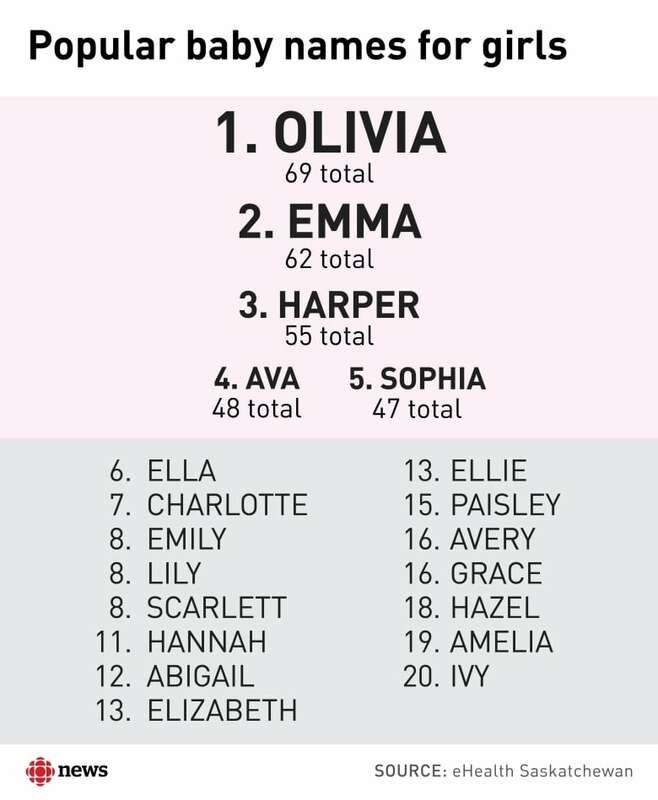 That means that the really low point in name style today is whatever today's new grandparents are named." As for the current generation of parents, "what sounds good to us is a lot of smooth sounds and particularly vowel sounds," she said. "If you look at the top names, whether they're traditional or more modern, they're all dominated by vowels. You don't have the Gertrudes or Mildreds, that are full of those rougher sounds altogether."